Born in Kalamazoo, Michigan, Edna Ferber (1885 - 1968) wrote short stories, plays and novels which were adapting into sizzling, popular movies. Ferber's work generally featured strong female protagonists, supported by characters who had to overcome some form of discrimination, or who weren't the "pretty people." She tended to favor these characters the most, perhaps as a result of her straight-forward midwestern upbringing. 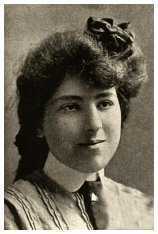 Ferber spent her early years in Michigan, Illinois, Iowa, and Wisconsin, attended Lawrence University briefly, then became a reporter. She covered both the Democratic and Republican National Conventions for the United Press Association before turning to writing her popular novels. 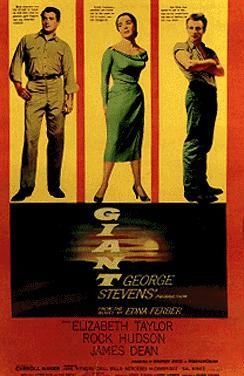 Giant (1952) was adapted as a blockbuster Hollywood movie in 1956 starred Elizabeth Taylor, Rock Hudson, and James Dean. So Big (1924) earned her a Pulitzer Prize and was adapted into at least three movies: a silent picture that same year, then a movie in 1932 starring Barbara Stanwyck, George Brent and Bette Davis. We feature Ferber in Pulitzer Prize Winners. Other Ferber novels ripe for the movies included Show Boat (1926), a surprisingly serious, long-running musical first performed in 1927, and Cimarron (1929), which won Best Picture at the Academy Awards in 1931. It was a "pre-code" Western (after sound was introduced, but before movie content was regulated). There were plenty of scantily clad females and provocative situations to keep movie goers captivated until film standards were imposed in 1932. Ferber never married, had children, or revealed any romantic relationships. As one of her characters states in her early novel Dawn O'Hara (1911): "Being an old maid was a great deal like death by drowning — a really delightful sensation when you ceased struggling." We feature many of Ferber's short stories from her eclectic and entertaining collection, Buttered Side Down (1912).